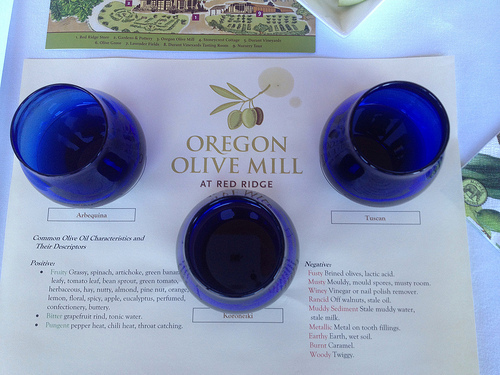 While touring around Oregon wine country is a pleasure unto itself, what if all of the best it had to offer could be had in one place? This was the case with Bounty of the County, an event put on by the Yamhilll Enrichment Society (YES). I was delighted to be invited to attend this event as a member of the media. 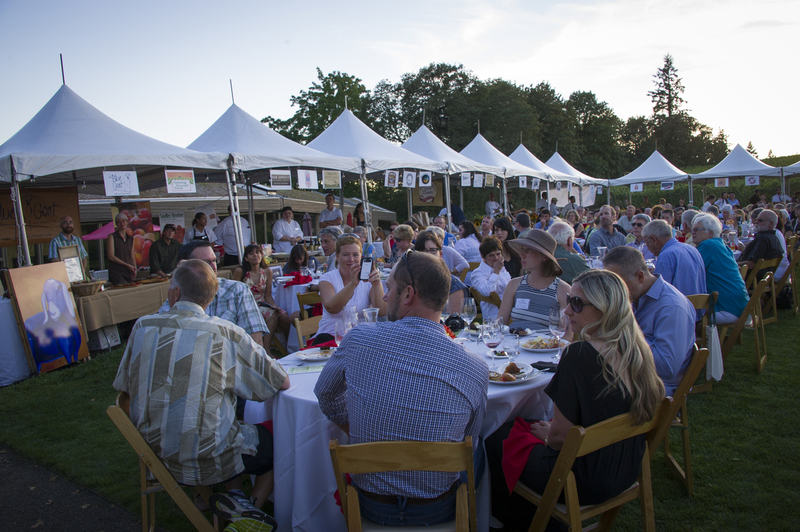 Bounty of the County showcased the warm collaborative spirit between chefs and farmers in an idyllic vineyard setting at Sokol Blosser Winery. Local produce and meats were creatively showcased by chefs, balancing transforming ingredients with maintaining their pristine condition. 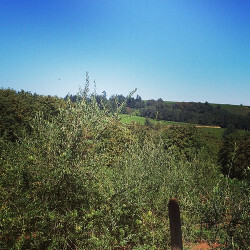 From pickled chanterelles atop duck rillettes to a five-bean salad with an Oregon hazelnut salbitxada to a wood-fired pizza with ingredients from three farms (peaches, pardron peppers, arugula), a creamery (feta), an olive mill, and a coastal sea salt producer, there was abundant variety. Speaking of variety, a team of roving sommeliers and winemakers poured red, white, rosé, and sparkling wine. Local beer was on tap and locally roasted coffee was available. It was a great experience to connect with people who share an interest in the YES, and learn more about its mission first-hand. 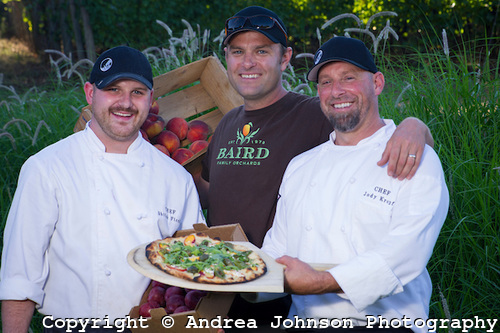 Here’s an example of that chef/farmer camaraderie, culminating from a culinary standpoint in the aforementioned pizza. Excellent work by Red Hills Market, Baird Family Orchards, and Oregon Olive Mill. 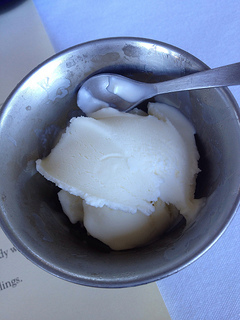 Finally, we were treated to a scoop of olive oil ice cream from Portland’s well-loved Salt and Straw. Naturally, they use Oregon Olive Mill’s oil. I would be remiss if I did not mention Susan Sokol Blosser, who, along with her husband Bill, founded Sokol Blosser in the 1970s. She started the YES in 2011. The mission of the society is “…to enrich Yamhill County with projects supporting education & the arts, food & agriculture, and history & community. YES strives to find innovation, creativity, collaboration and efficiency in all of its endeavors.” During Bounty of the County Susan gave a brief speech (although she’d probably hate that I called it a speech…it was much more engaging and off-the-cuff), noting, somewhat tongue-in-cheek, that this event serves as a reminder that Yamhill County is “..not just a pathway to the coast.” There was also something so Oregon wine country about her not having a podium but rather a step ladder on which to make her remarks. While she gave thanks to all the chefs, farmers, beverage purveyors, and volunteers, I was grateful that Susan (and everybody at YES) could have the vision to bring all these people together to share an evening characterized by intense sunshine that mellowed into a night of cool vineyard breezes, conversation, and new friends. 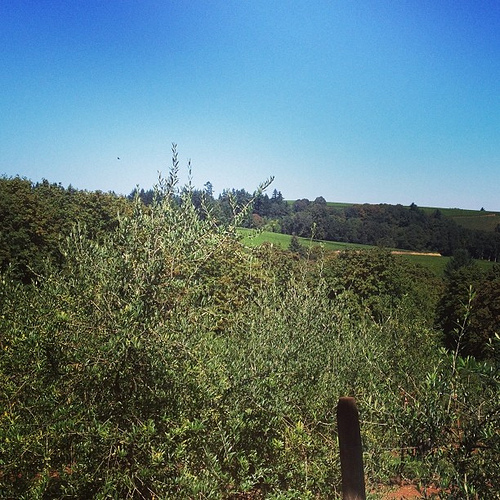 Looking for more Oregon wine country knowledge? Check out my blog and travel to Southern Oregon by way of Pittsburgh. Special Thanks to Andréa Johnson for use of the photos of the pizza loving chefs and farmer plus Susan on the ladder. Please peruse her lovely work.